Fall in Missoula has always been great, but it’s reached a whole new level in recent years thanks to the flood of new cider options. This coming week we’re excited to help celebrate all the deliciousness that is apples by partaking in the third annual Montana Cider Week! The statewide celebration will include tap takeovers, orchard parties and other sweet and tart events. But on the local level, the crew over at Western Cider is really stepping it up this year with several different ways to participate. • They’ll kick off the week this Saturday with a family-friendly Harvest Party at their facility on North California Street. Schedule includes a team “cider pressing” competition, square dancing to live music, samplings of special releases and more. • On Sunday, the cidery’s Kira Bassingthwaighte will host a “Meet the Cider Makers” event at The Dram Shop – a chance to learn about and discuss their operations and taste some of Western Cider’s finest flavors. This is a reservations-only event; get your tickets by calling (406) 540-4303. • They’ll close out the week-long celebration with a Cider Dinner featuring a cider-themed five-course meal (plus cider pairings) at the Top Hat. Tickets for this “family style” event are available at the Top Hat, Western Cider, online or by calling (877) 987-6487. For more details on all the tasty fun and activities going on at Western Cider this week, check out their Facebook page. 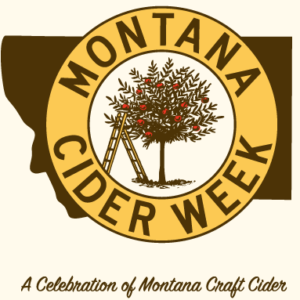 Or CLICK HERE for a full schedule of Montana Cider Week events, including details on “Liquid Apple Night Festival” in Hamilton on Oct. 6 and cider discounts at the Good Food Store!